This ProX XC-MEP12 power cable provides uncompromised signal power and frequency handling high-performance 12AWG. Bending, Twisting, are no match for our high-performance tour-grade power cables. 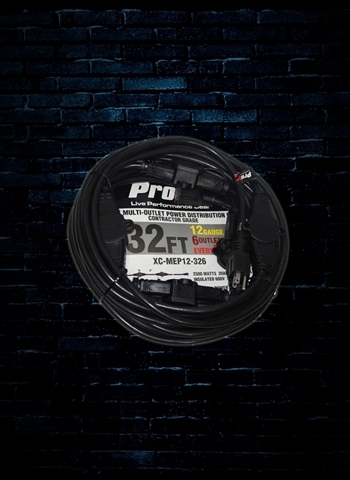 They're designed to provide years of dependable power production and outlast every other cable on the market! Complete Coil technology demands consistent weave tolerances to create precise accuracy and detailed clarity. This is a very important part of the design and greatly affects performance.